According to a new study published in The Lancet Respiratory Medicine, lung disease may be triggered by genetic factors as well as smoking. Professor Ian Hall and his colleagues from the University of Nottingham set out to understand the genetic basis of airflow obstruction and smoking behavior. 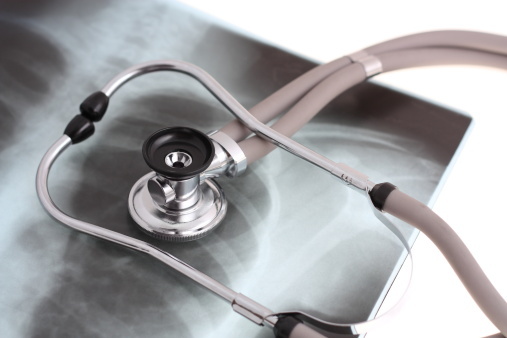 They believe it is imperative to determining what causes chronic obstructive pulmonary disease (COPD). Researchers analyzed subjects from the UK Biobank consisting of the best, average, or poorest lung function among heavy smokers and people who never smoked. The study involved a total of 152,030 participants of white, European ancestry. Heavy smokers consisted of 46,758 participants while 105,272 participants had never smoked. The team found six independent genetic variants associated with COPD and lung health. They also discovered genetic variants linked with COPD in participants who had never smoked. Lung health in heavy smokers (and for those who had never smoked) was associated with the numbers of copies of the duplicated sequence of the genome on chromosome 17—this basically suggests extensive effects on gene regulation and protein production. Five autonomous genetic variants were found and associated with heavy smoking, which can be useful in preventing COPD and other smoking-related diseases, according to researchers. Brazier, Y., “Smoking and lung disease found to have genetic links,” Medical News Today web site, September 28, 2015; http://www.medicalnewstoday.com/articles/300070.php. Wain, L., et al., “First UK Biobank genetic study reveals new associations with lung disease and smoking behaviour,” The Lancet Respiratory Medicine September 28, 2015, doi.org/10.1016/ S2213-2600(15)00283-0.